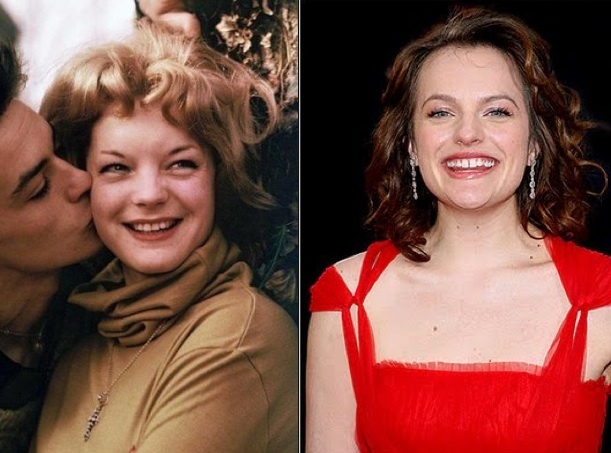 I think that there is a striking similarity features-wise between cinema queen Romy Schneider and Mad Men starlet Elisabeth Moss - both have beautiful, slightly cherubic faces that light up the screen. Last year, Elisabeth even lightened her signature brunette locks to a warm honey shade similar to the color that Romy often sported. The only thing missing is for Miss Moss to find an Alain Delon all her own! I just saw her in "What's New Pussycat" and said the exact same thing! The resemblance is amazing!